With the opening of Russian and communist-bloc archives dating from the Soviet-era, there has been a significant increase of scholarly writings pertaining to Joseph Stalin. 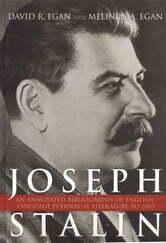 Widely considered to be among the most influential historical figures of the twentieth century, Stalin continues to be a source of intense study. 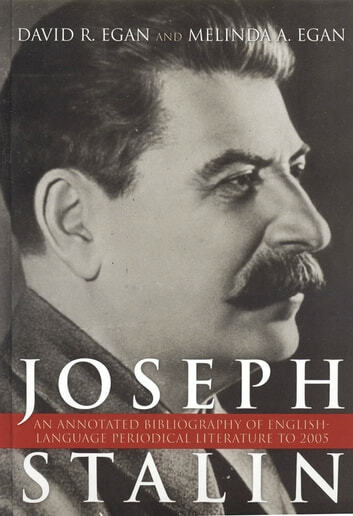 In the absence of a comprehensive compilation of periodical literature, the need for Joseph Stalin: An Annotated Bibliography of English Language Periodical Literature to 2005 is conspicuous. Ranging from editorials and news reports to academic articles, the more than 1,700 sources cited collectively cover the full range of his life, the various aspects of his leadership, and virtually all facets of the system and practices traditionally associated with his name. The coverage in this bibliography extends beyond the person of Stalin to include the subjects of Stalinism, the Stalinist system, the Stalin phenomenon, and those policies and practices of the Communist Party and Soviet state associated with him. This volume also provides a record of scholarly opinion on Stalin and sheds light on the evolution and current state of Stalinology. An effort has been made to list only those articles in which Stalin figures prominently, but, in some instances, articles have been included which do not center on Stalin but are worthy of listing for other reasons. The book is divided into fourteen main sections: General Studies and Overviews; Biographical Information and Psychological Assessments; The Revolutionary Movement, October Revolution and Civil War; Rise to Power; Politics; Economics; Society and Social Policy; Nationalism and Nationality Policy; Culture; Religion; Philosophy and Theory; Foreign Relations and International Communism; Military Affairs; and De-Stalinization. Including a subject index of several hundred headings and even greater number of subheadings, this comprehensive annotated bibliography should be of benefit to those individuals who, for the purpose of research or classroom instruction, are seeking sources of information on Stalin.